How would you react if a public transport ticket collector suddenly started giving you a sightseeing tour? 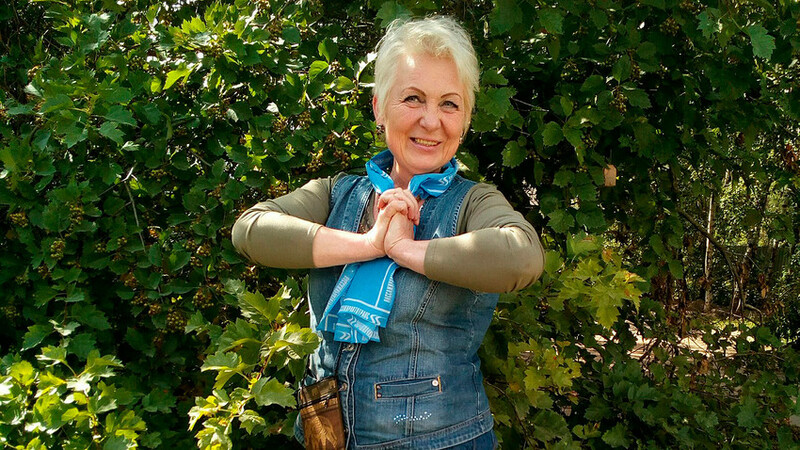 Natalia Solontsova, 54, used to be an ordinary conductor on bus route 24 until one day, taking a deep breath, she announced: “We are traveling one of the most picturesque routes of St. Petersburg. We are riding across the entire city center – Nevsky Prospect. Look out of the window, you can see many famous sights.” Since then her working day has been punctuated by stories she tells passengers of the buildings and landmarks they are passing by. She has always loved her native St. Petersburg. After she tired of working in an office, she decided to change her life and find a conductor's job. “Working on a bus is all about movement and constant communication with people,” Natalia told local news site Sobaka.ru (link in Russian). Natalia was firstly shocked at how rude many Russians were to conductors, but she smiled and wished them a good day, and they became friendlier. She likes the feeling of freedom her working day brings to her. Natalia doesn't regard what she does as anything unusual. She is simply doing her job and trying to arrange it in such a way that brings her – and her passengers – pleasure. Read more: Touch Malevich's Black Square at your own peril! What are Russian museum attendants actually doing?